K. M. Mastin ski trail map artist. The pioneers in this field are Hal Shelton, Bill C. Brown, and of course, the modern master: James Nieheus. It’s interesting that, at 50 years old, I’m still a “rookie” in this field. 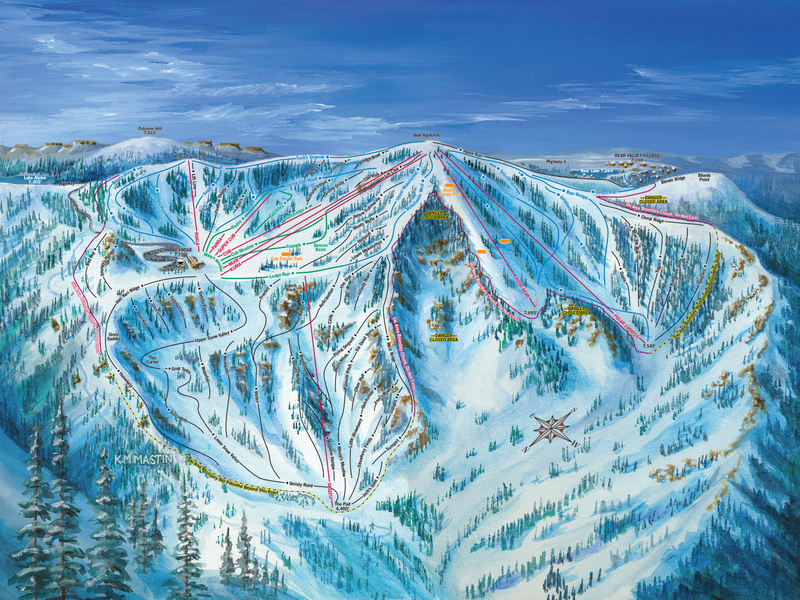 I draw cartoons, create logos, design brochures and illustrate many other styles of artwork, but ski trail maps are probably my favorite projects. Everyone seems to know Breckenridge! This is, by far, my most popular trail map painting. Breckenridge is a very difficult mountain to illustrate without doing insets (which I don’t like), because: 1) Breckenridge is a huge ski area, and 2) it has many south- AND north- facing slopes. In order to see both slopes you need to get very high and look down onto the mountain (more like an airplane view) which exaggerates the elevation too much. I have found that the lower-angle views (from the valley floor) seem to work better in most people’s minds. You can buy a Breckenridge print in my online store. Here’s a link to to a demo on how I painted it. This small eastern ski area, turns 50 this year! If you are interested in hiring me to create a map for you, I highly encourage you to contact any of my past clients for references. 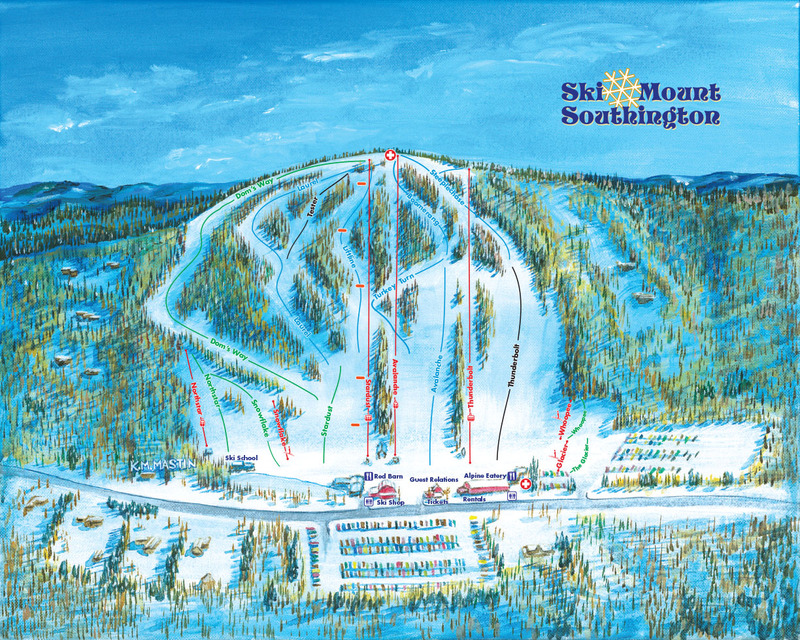 Here’s a link to Mount Southington. In some ways, smaller ski ares can be as challenging as larger ones. 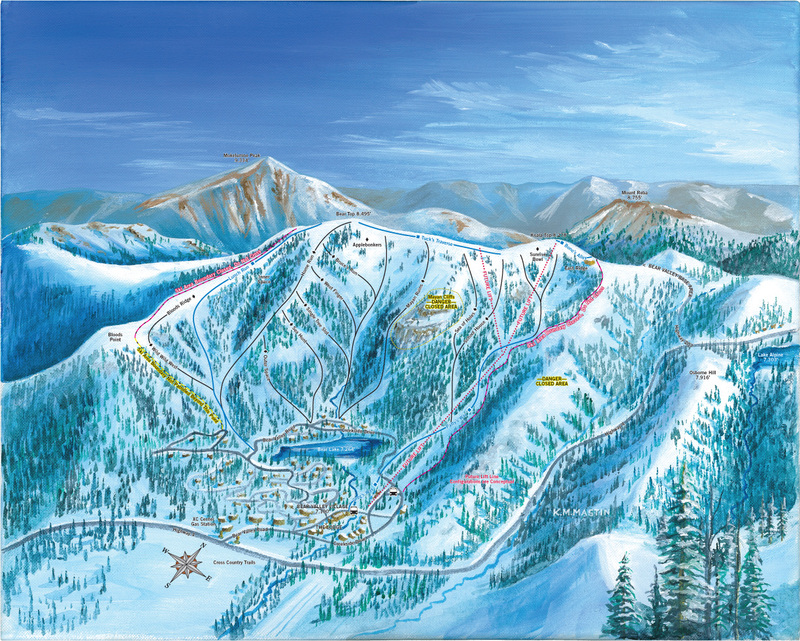 With larger ski areas I am painting clusters, pods and masses of trees and ridges. But, with smaller areas, such as this one, I am painting a very specific number of trees on a particular trail. I enjoy that level of detail; it really personalizes the mountain. Suicide 6 ski area and the Woodstock Inn and Resort. I admit that Keystone is my favorite. I know this mountain inside and out. I moved to Keystone from Leadville in 1983 and drew my first street map for the Keystone Ranch neighborhood in 1984. I’ve painted this mountain 3 different times due to new terrain changes and expansions. 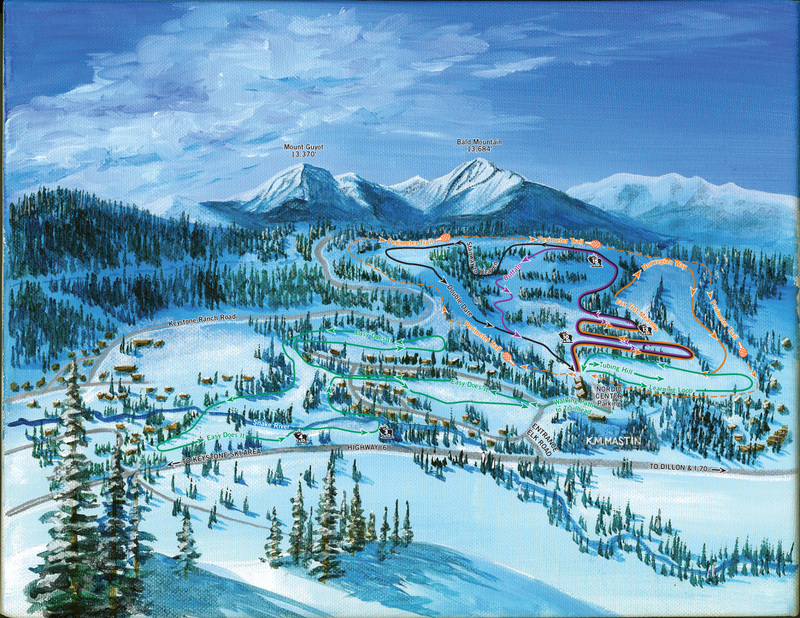 …and here is the accompanying Keystone Nordic Ski Trail Map. 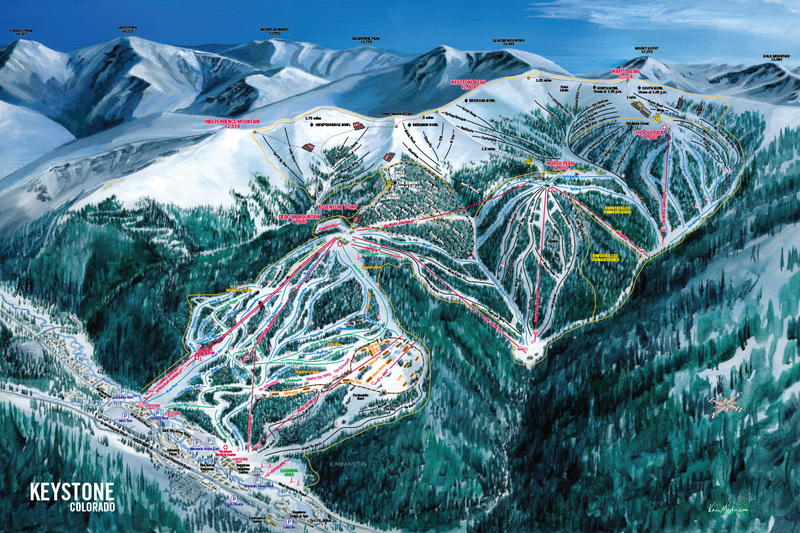 …and the back side of Arapahoe Basin is the Montezuma Bowl Ski Trail Map. 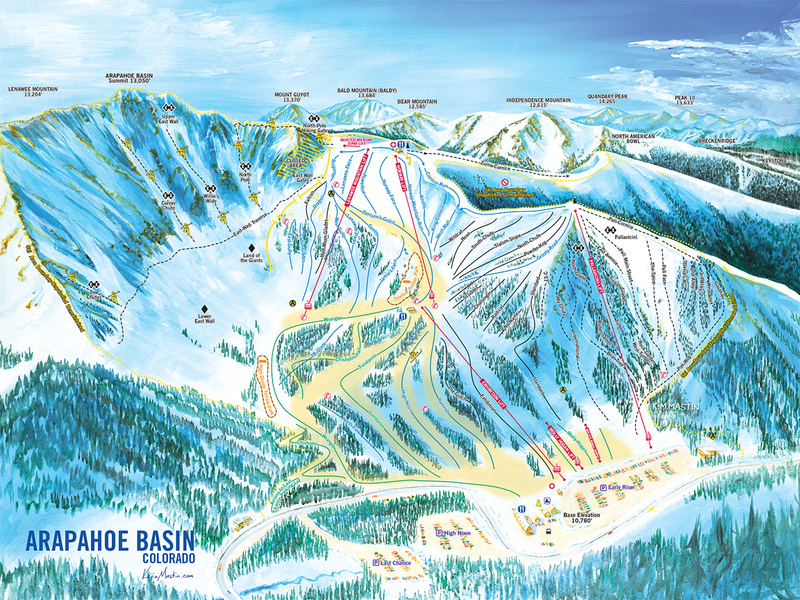 …and the back side of Bear Valley Village Bowl Ski Trail Map. 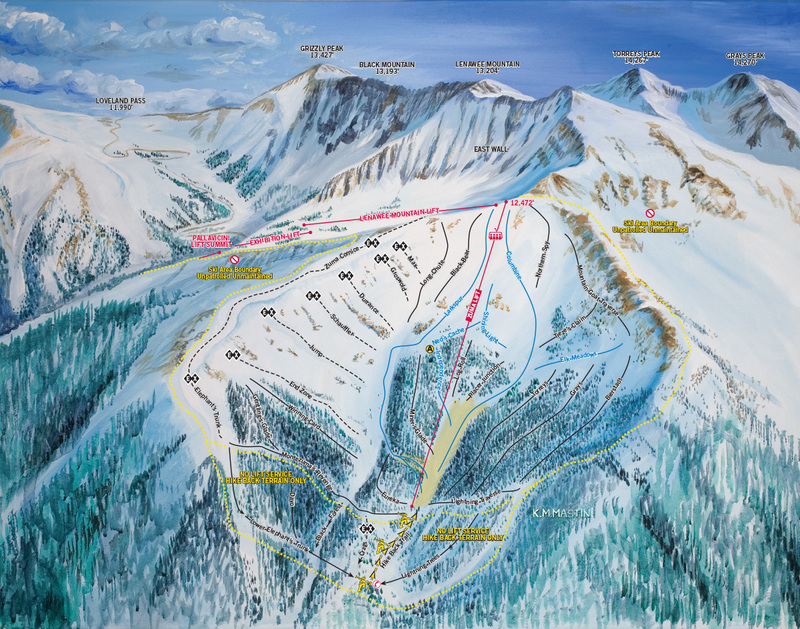 This is another of my most popular prints—an aerial view of all the ski areas in Summit County: Arapahoe Basin, Breckenridge, Copper Mountain, Keystone, plus Loveland Basin in Clear Creek County. 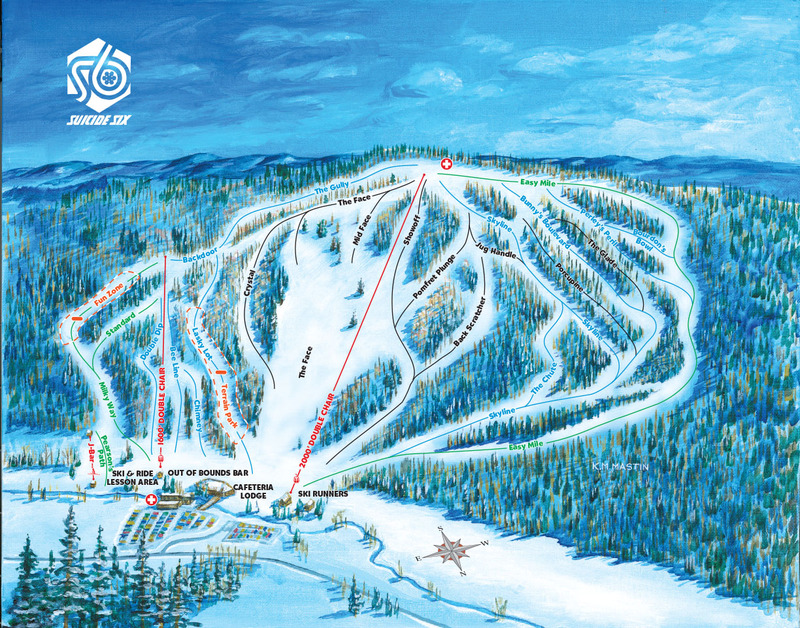 “Ski the Summit” was a cooperative marketing endeavor with the then-independent-ski-areas and the Summit Chamber of Commerce. I painted this as way to show how the areas and towns linked together. 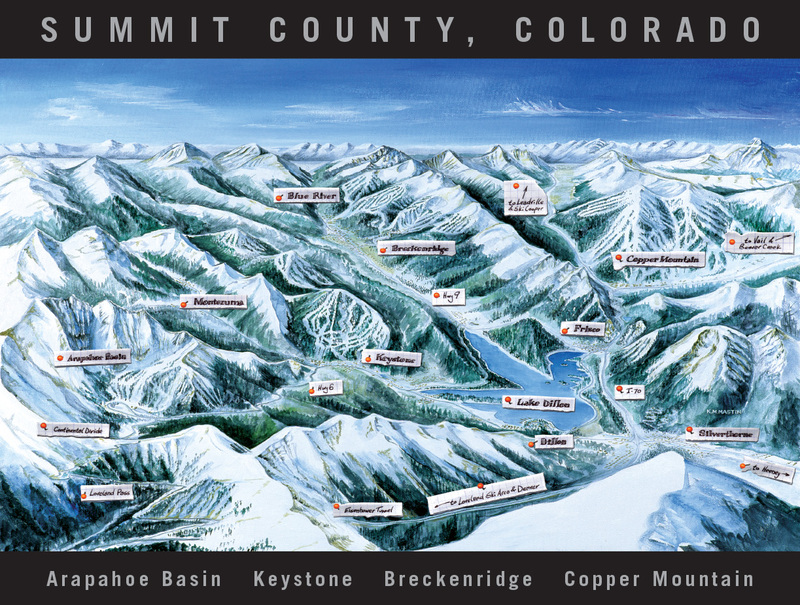 Buy Ski Summit County Print here. 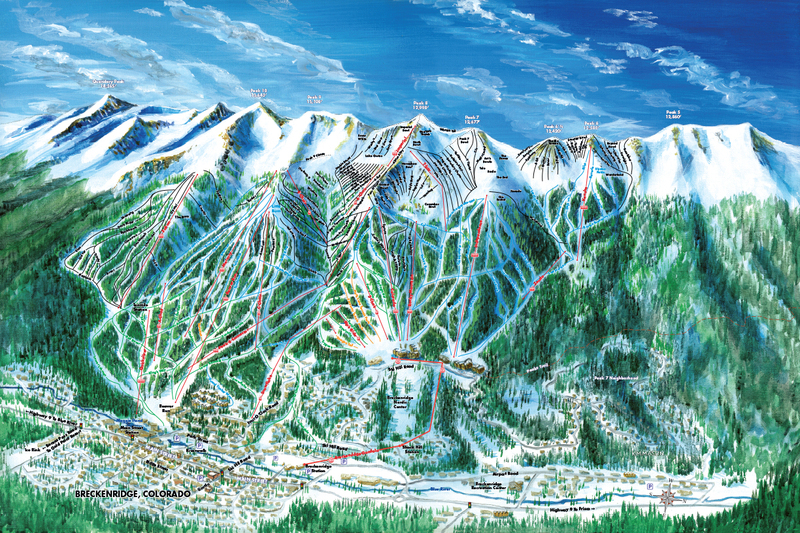 Over the past 30 years, I’ve drawn hundreds of maps for clients such as: The United States Forest Service, Keystone Ski Resort, Summit County Chamber of Commerce, Arapahoe Basin, Breckenridge, Vail, Beaver Creek, Wisp, Bear Valley, California, Anne Springs Close Greenway and Springmaid Beach Resort and many, many more. Let me what you need and I’m sure I’ll have the right solution for your use and your budget. ©2014 Stray Horse Arts, Inc. Summit County, Colorado. dba The Mastin Group and dba Stray Horse Press, Silverthorne and Leadville, Colorado. Custom Maps, Logo Design, Commercial Art, Painting, lllustration, Western Art and Fine Art. Kevin M. Mastin, Commercial Artist and Graphic Designer.